Oracle added two new models to the Oracle Database Appliance family in addition to the existing high availability model. 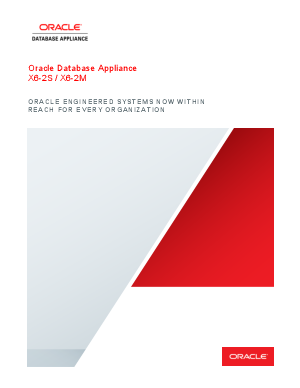 With an entry list price starting at a fourth of the cost of the prior generation Oracle Database Appliance hardware and flexible Oracle Database software licensing, these new models bring Oracle Engineered Systems to within reach of every organization. Read about how the Oracle Database Appliance X-6 series expands the reach of the database appliance family to support various workloads, deployment scenarios, and database editions. They are especially designed for customers requiring only single instance databases, but who desire the simplicity, optimization, and affordability of the Oracle Database Appliance. These new models are ideal for customers who seek to avoid the complexity, tuning requirements, and higher costs of “build-your-own” database solutions.